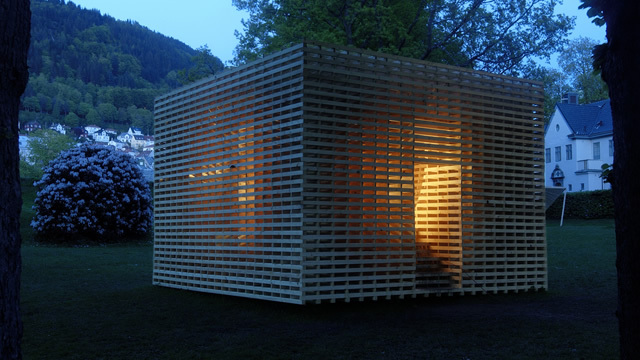 Bergen International Wood Festival is a bi-annual event held in Bergen, Norway. This structure dates from 2006, designed and built in colaboration with Stephen Laird & Clinton Terry. A perfect circle was cut from within a lattice of parallel battens, each cut being made at a tangent to the circle.